Akira Kurosawa's 蜘蛛巣城 / Throne of Blood (1957) transmogrifies Macbeth in a totally cool way, dropping the basic storyline into the sizzling stew of samurai Japan, changing the three witches into one evil spirit within Spider's Web Forest, and substituting Washizu Taketoki (Toshiro Mifune) as Macbeth and Washizu Asaj (Isuzu Yamada) as Lady Macbeth. Results: brilliant! 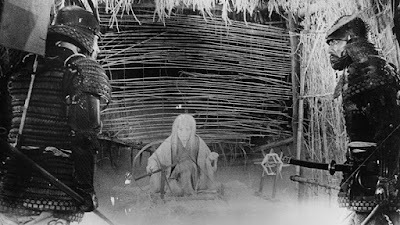 Filmed in black and white, Throne of Blood starkly heightens the shadowy contrasts of architecture and nature with both interior and exterior shots. Scenes are luxuriously expanded and drawn out as in a dreamscape, with close attention given to the expressions and movements of the main characters. 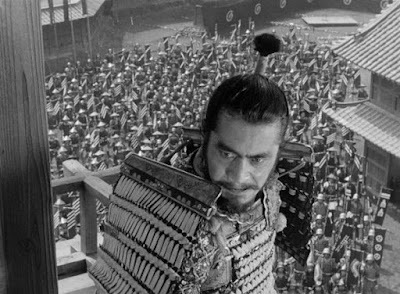 This memorable technique was tidily picked up by Sergio Leone for his own epic films. 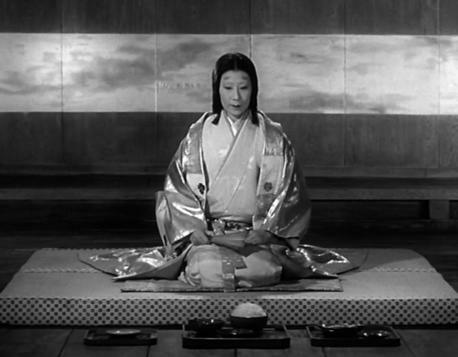 The creepy movements and words of Isuzu Yamada are both riveting and chilling. Toshiro Mifune plays an unhinged samurai general from beginning to end. More from Isuzu Yamada. She is even creepier than the evil spirit of the forest! 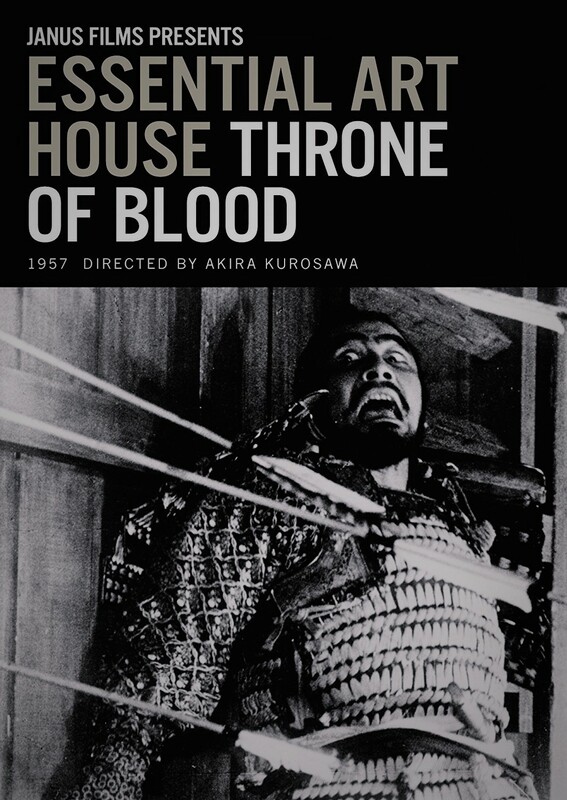 In addition to the visceral power of live theatre and the big gestures of Silent Film, Throne of Blood adds very effective sound effects. 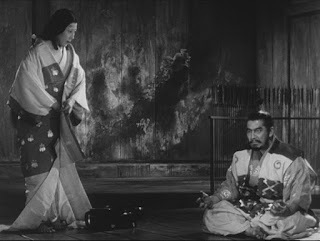 Toshiro Mifune snarling his way to the crescendo ending! 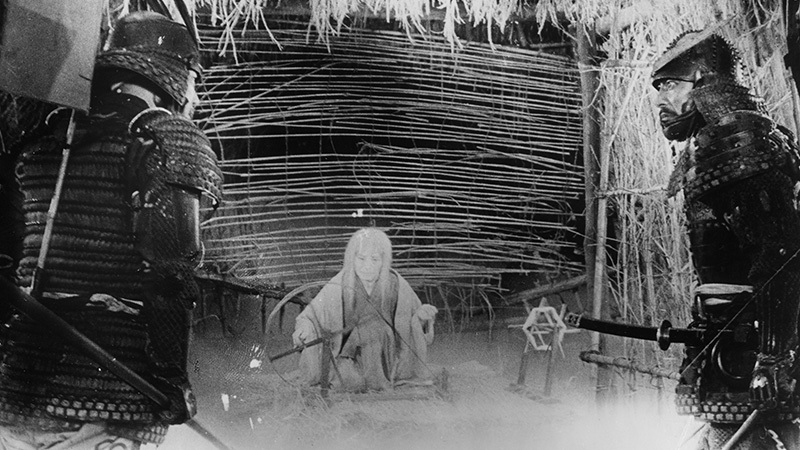 I can certainly see why Akira Kurosawa is often ranked in the very top global tier of movie directors. A great pleasure of craft and vision. OK Kurosawa adapts Shakespeare now which American or European adapted Kurosawa's take on Shakespeare? Erik, I would hate this flick, but Randy would totally love it!